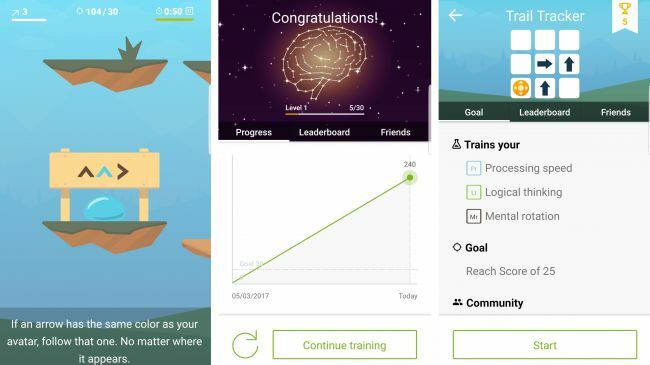 We know it’s important to exercise our bodies, but our minds sometimes get neglected, and that’s where brain training apps come in. Of these NeuroNation is perhaps the best, as its training plans have been developed in collaboration with actual neuroscientists from Medical School Hamburg, Edith Cowan University and Free University Berlin. The app first asks you what your goal is – for example to remember things better or stay focused – and then creates a training plan around that, consisting of a number of activities and games which you’re tasked with carrying out. These are generally well-designed and enjoyable and the selection changes from day to day, so repetition shouldn’t set in. You also level up over time and there’s a leaderboard where you can compare your scores in the games with your friends and people worldwide, all of which can help keep you motivated. How much it actually trains your brain is questionable, but the backing by educational institutions is encouraging, and it would make sense that using your brain in various ways would improve its function. The core app is free, but to unlock 19 additional exercises and a personalized plan you have to subscribe at a cost of £4.99/$5.99/AU$7.99 per month (or less if you subscribe for 6 or 12 months).